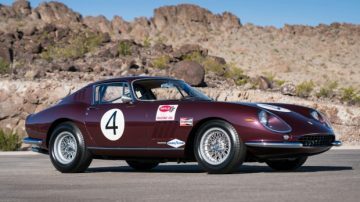 The top results at the Bonhams Quail Lodge 2018 sale during the Monterey Motor Week in California were mostly for true classic cars. 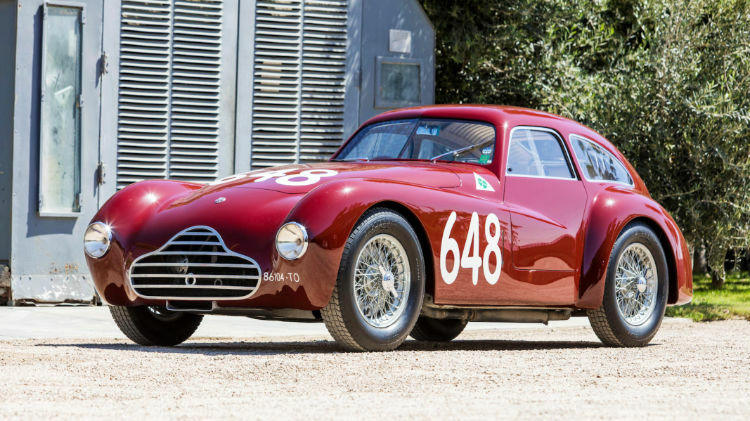 A 1948 Alfa Romeo 6C 2500 Competizione Coupe that participated in four Mille Miglia races with a third-placed finish in 1949 was the top result at $3,525,000. A 1937 Mercedes-Benz 540K Sports Roadster with one-off coachwork by Mayfair sold for $3,277,500 while a 1955 Mercedes-Benz 300 SL Gullwing Coupe achieved $1,875,000 – the highest Gullwing result in four years. A 2015 Porsche 918 was the only top modern hypercar result with a Bugatti Chiron failing to sell. The highest bid at the Bonhams Quail Lodge 2018 sale was $8.7 million, which failed to buy the 1962 Ferrari 250 GT SWB Berlinetta. The Bonhams Quail Lodge 2018 classic car auction was held on 24 August 2018 in Carmel during the Monterey Motor Week in California, USA. In 2018, Bonhams earned $37.7 million with a sell-through rate of 82% with 110 of 135 lots sold. Ten cars sold for over a million dollar each. The average sale price was $343,694. At the 2017 Quail Lodge auction, Bonhams earned $56,430,000 with a sell-through rate of 80% of the 105 cars on offer. The average sale price was $641,685. The top result was a marque-record $15,620,000 for a 1995 McLaren F1 sports car. A 1948 Alfa Romeo 6C 2500 Competizione Coupe sold for $3,525,000 as the top result at the Bonhams Quail Lodge 2018 classic car auction. This car is one of three built with the specific aim of winning the Mille Miglia. This target was missed but a privateer – Franco Rol – raced the Alfa to a class win and third place overall behind two Ferraris at the 1949 Mille Miglia. This Alfa Romeo finished second overall at Targa Florio 1949. 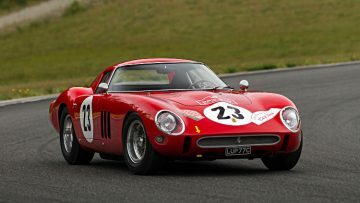 It was extensively raced in especially Italy and Switzerland and participated in four Mille Miglia races. 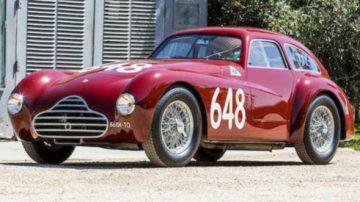 The 1948 Alfa Romeo 6C 2500 Competizione Coupe scored 100 points at the 2005 Pebble Beach Concours d’Elegance but brake light failure at a critical moment robbed it from first in class. A 1937 Mercedes-Benz 540K Sports Roadster with one-off coachwork by Mayfair sold for $3,277,500. The car was extensively damaged in a garage fire in 1960 and although restored of course lost some authenticity. A less sporty 1936 Mercedes-Benz 500K Touring Phaeton sold for $1,215,000. It is one of only 16 produced in this version. A 1955 Mercedes-Benz 300 SL Gullwing Coupe sold for $1,875,000 – well above presale estimate and the highest Gullwing result since 2014. This well-maintained Gullwing is highly authentic and still has its original paint and interior. It had only two owners in the past seven decades. 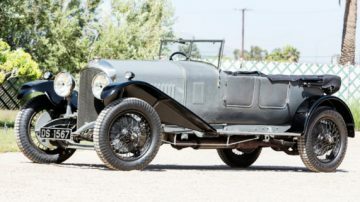 A 1928 Bentley 6 1/2 Liter Open Sports Tourer sold for $1,655,000. 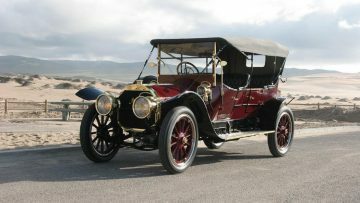 This car is the sole survivor with this Barker body style and has a known history from new. The Bentley spent around 70 years in South Africa. 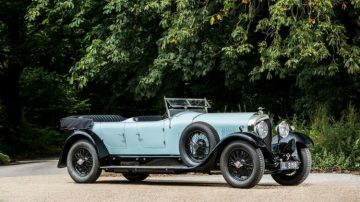 The smaller 1929 Bentley 4 1/2 Liter Sports Tourer sold for $1,435,000. It is a very original and unmodified car. The larger 1931 Bentley 8-Liter Saloon with coachwork by Vanden Plas failed to sell despite a highest bid less than 10% below lower estimate. A 2015 Porsche 918 Spyder Weissach sold for $1,407,500. The bidding was somewhat tempered by the 8,000 miles on the clock – relatively high compared to other 918s offered at auction. A 1996 Porsche 911 GT2 Coupe sold for $1,105,000 – a new model record and one of only a handful of top 911s on offer at the Monterey Week 2018 auction. 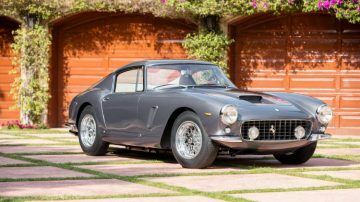 With the 250 GT SWB Berlinetta failing to sell, the top Ferrari result at the Bonhams Quail Lodge 2018 sale was a 1960 Ferrari 250 GT Cabriolet Series II that achieved $1,682,500. Although only 202 Series II cabriolets were produced, four were on offer at the Monterey Week auctions with the Bonhams car achieving the second highest result. 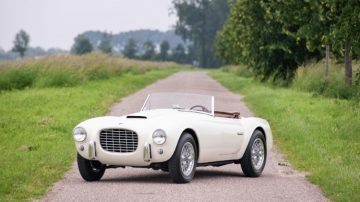 A 1953 Siata 208S Spider sold for a model-record $1,655,000. Only 37 examples of this Siata were ever built. The first owner replaced the Fiat engine with a Chevrolet V8 – a similar fate befell 15 of the 37 cars built. The restored car, fitted with a correct Fiat engine from a different Siata, received a class reward at the 2015 Pebble Beach Concours d’Elegance and at the 2016 Villa d’Este Concorso d’Eleganza. The top unsuccessful bid at the Bonhams Quail Lodge 2018 sale was $8,700,000 on a 1962 Ferrari 250 GT SWB Berlinetta. A similar bid at RM Sotheby’s also failed to a similar car. Probably more significant was the failure of $3.1 million to buy the 2018 Bugatti Chiron. It was the only Chiron at Monterey but the six Veyrons at the various Monterey also failed to sell.